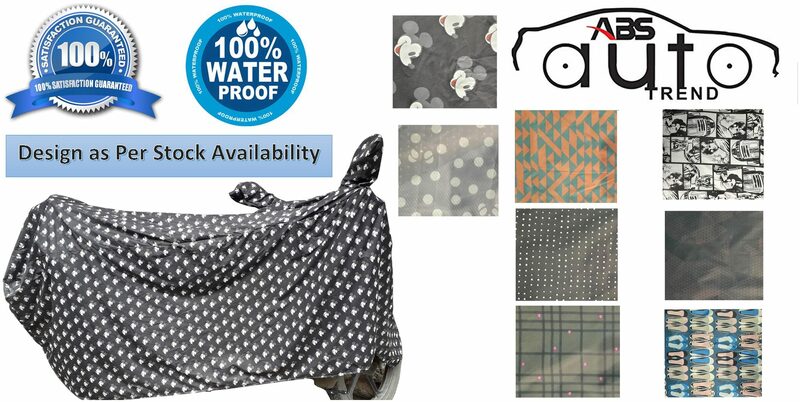 100% waterproof two-wheeler cover for bikes and scooties provides enhanced shielding to your vehicle against water, dirt, dust, weather extremes, fading away from sunlight, scratching. Protect the internal Engine Parts from dust. It guards the painted or leather from UV rays. Suitable for all weather conditions, easy to handle. It also protects the internal engine parts from rust and dust. The product can be used for both indoor and outdoor covering of two wheelers. Specifications product features, it s wrinkle free and also easy to wash. It s a genuine, authentic and 100% original product if you buy from our store and it s a light weight or durable and easy to carry. NOTE: - Design available as per stock availability as shown in image.